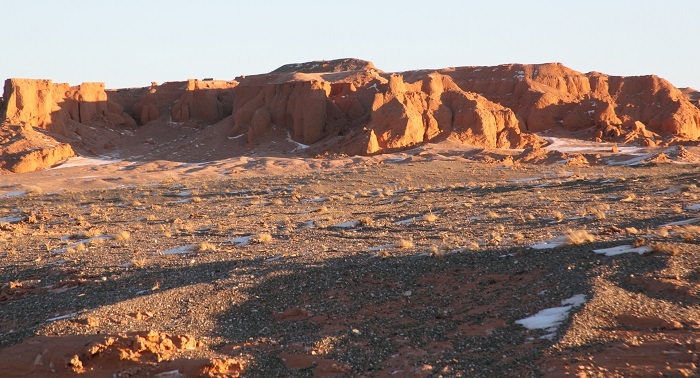 The Flaming Cliffs, also known as Bayanzag, is a site that features unique red sand cliffs that are located in the Ömnögovi Province, in the southern part of the State of Mongolia. 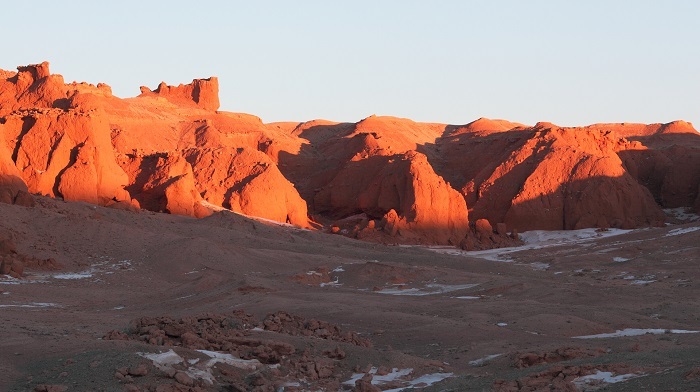 Named after the red and orange colors of the cliffs which are much more emphasized at sunset, it was the American paleontologist Roy Chapman Andrews who came visited the site in 1920s and gave the name. 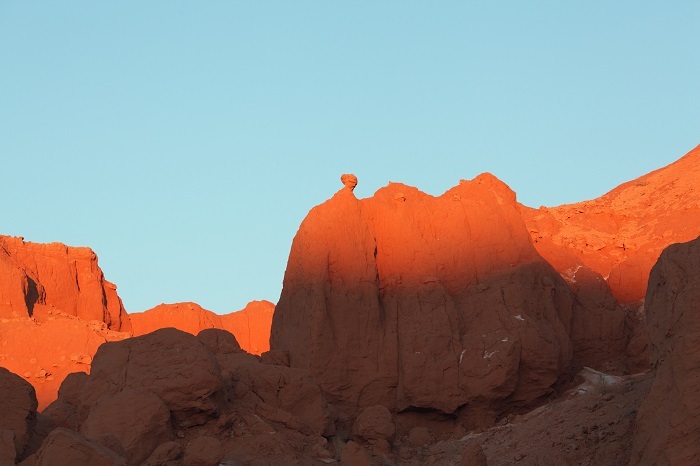 As they are definitely glowing at sunset, accentuating the impressively gorgeous and dramatic features of the entire valley, the importance of the Flaming Cliffs comes from the first discoveries of dinosaur eggs, in addition to the specimens of Velociraptor and eutherian mammals. 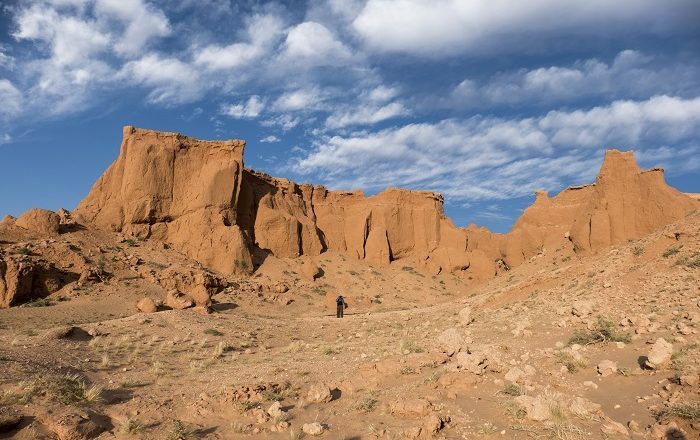 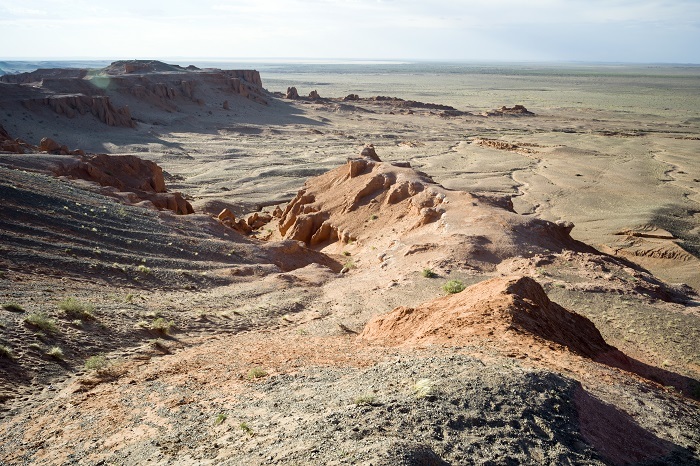 Still, there were plenty of dinosaur fossils which were uncovered here, and as the site is in the Gobi Desert, it is certainly one of the most important ones in the world for fossil hunters. 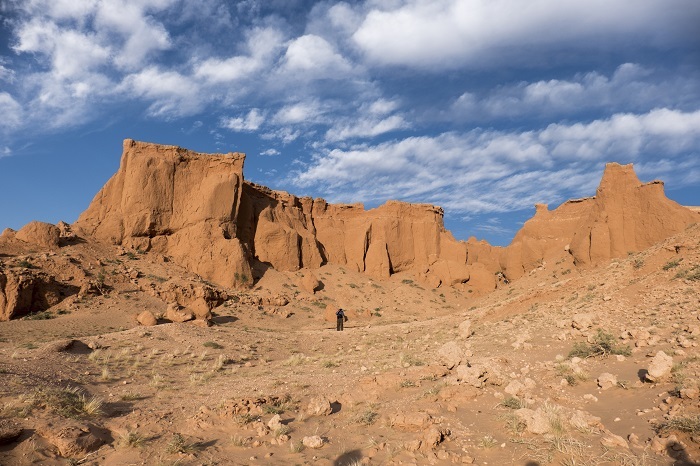 According to some scientists, the cliffs are estimated to be some 71 to 75 million years old. 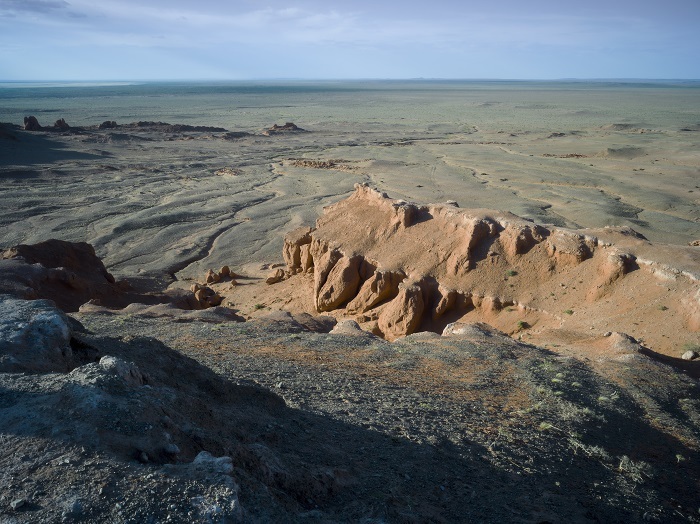 Nevertheless, among the discoveries here, there were discovered skeletons of Maniraptorans: Saurornithoides and Ceratopsians: Protoceratops with Ankylosaurids: Pinacosaurus. 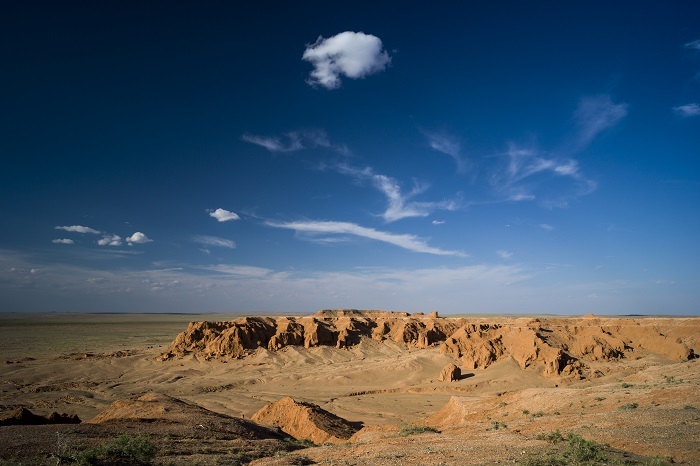 All in all, even though located in a more remote part of Mongolia, the Flaming Cliffs are definitely one of the greatest treasures with which this nation in Central Asia can be really proud.